Fifteen years ago in March, on the 27th, I set foot on the soil of Arunachal Pradesh for the first time, steadfastly set on accomplishing my calling and providing the needs of my family. In essence, it was a call to duty, and basically, the fulfillment of the calling of God. It was no small choice but an intricate one involving the relocation of my entire family about 500 km away from home with the grim reality of leaving everything behind, even the prospect of a job, to raise my kids amongst people hitherto unknown and eke out a living. It was a huge challenge, a daunting one at that! Fortuitously, and by the design of God, we soon adapted to our new setting and God in His grace amply blessed the work we took charge of. What, however, we always felt amiss was the home-grown delicacies and vegetables which were not easily obtainable. My dear “angel” dad and mom (both now blissfully in the company of Jesus) helped in planting a number of tree beans. 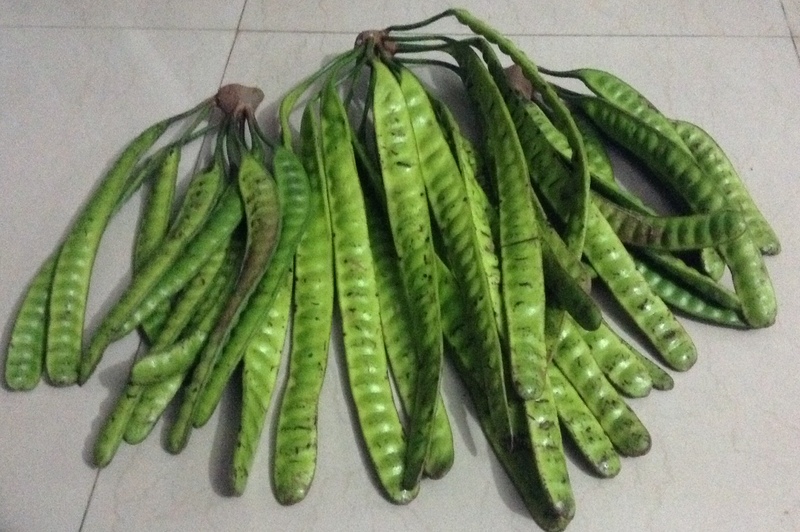 Tree beans is also known as parkia speciosa (bitter bean, twisted cluster bean, stinker or stink bean) and is a plant of the genus Parkia in the family Fabaceae. It bears long, flat edible beans with bright green seeds the size and shape of plump almonds which have a rather peculiar smell, characterized by some as being similar to natural gas. Fifteen years on, in the will of God we have moved on but the small plants that we planted are now fully-grown tree beans, producing bundles and bundles of joy to those who savour its taste. Your final paragraph speaks volumes. It is a lesson for us all.